WITH WORDPRESS AND MEMBERSHIP PLUGINS. Do you want to keep your classroom simple, flexible, and on your own server with a WordPress Membership site? If you’re not afraid of WordPress tech, if you want to keep flexibility and control, if you aren’t ready to commit to the monthly payments of a hosted LMS classroom, then WordPress with membership plugin is a solid choice. But there’s that tech . . .
Until you’ve built a WordPress classroom yourself, you just don’t know how hard it will be and if you’re up for the work. In How to Build an Online Classroom with WordPress you’ll see a WordPress classroom built with Wishlist Member for content protection as well as integration with email and payment gateway. Extras like DIY-ing LMS-like progress tracking are also covered. In addition to that key instruction, this class has 3 “pre-build” extra lessons that describe the benefits of WordPress, the current choices for classroom builds, and key aspects of WordPress classroom design. 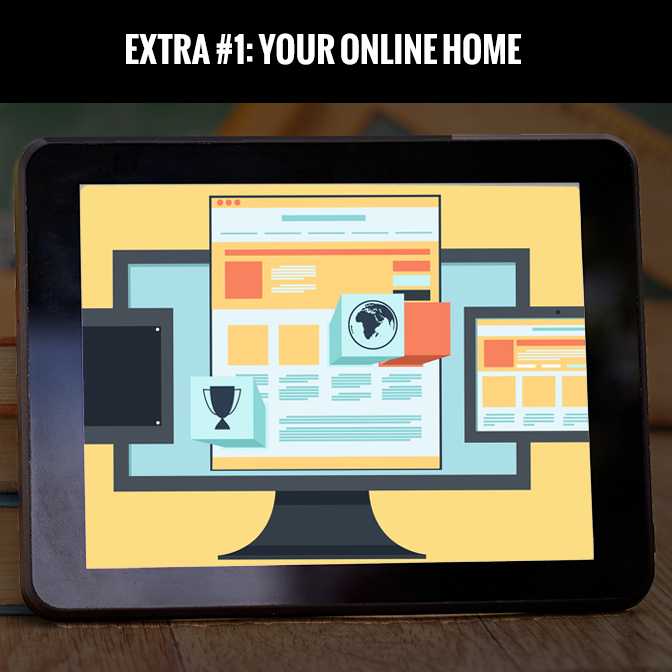 Pre-Build Extra #1: Your Home on the Web. 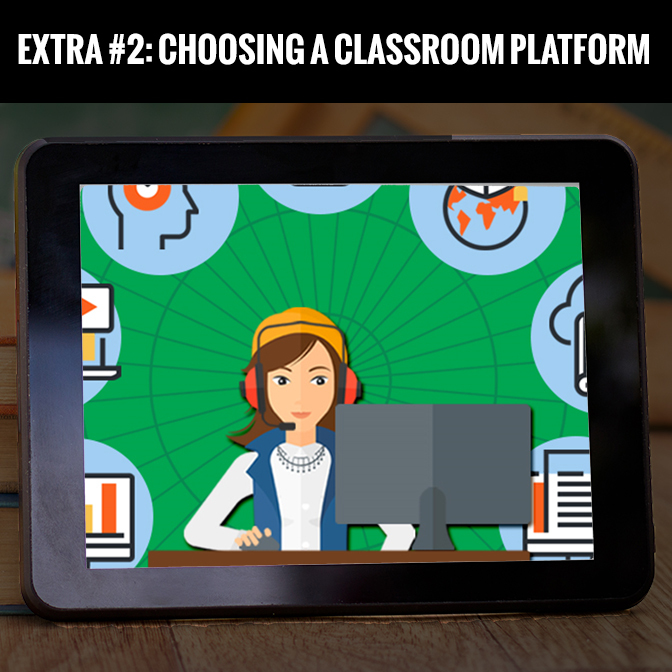 Pre-Build Extra #2: Choosing a Classroom Platform. 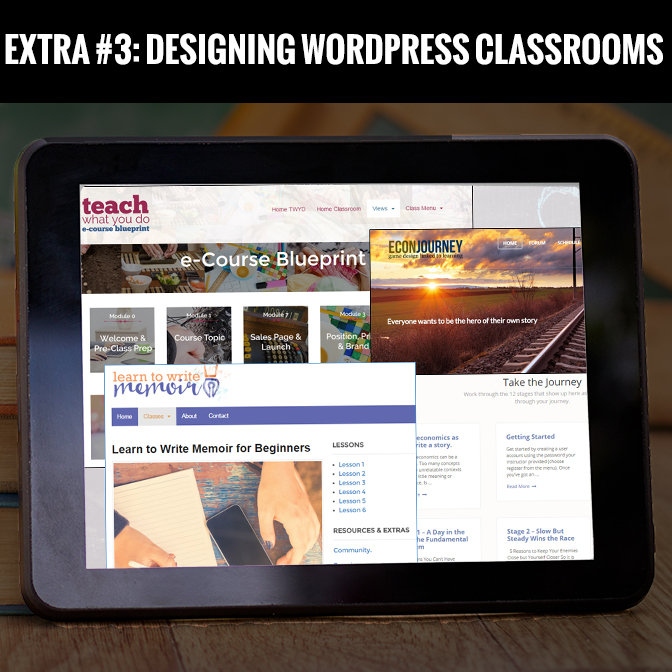 Pre-Build Extra #3: Designing WordPress Classrooms. This lesson describes the work, strategy and tools for setting up an online classroom with WordPress and a Membership Plugin. As example, the Wishlist Member plugin is used here. Many classroom examples are used and design of classroom “front hall,” individual lessons, as well as sequencing and flow are covered. 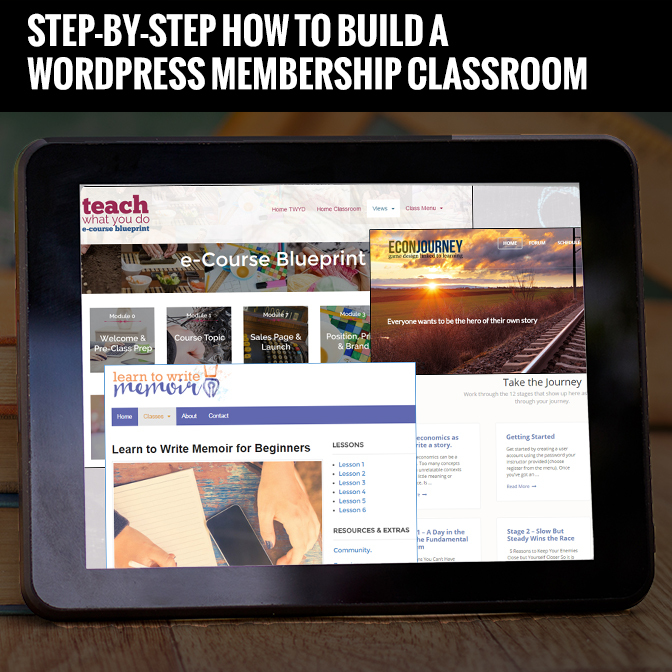 Step-by-Step How to Build a WordPress Membership Classroom. Detailed, time-stamped. 1.5 hour video takes you from subdomain and WordPress setup, to adding themes, menus and sidebars. Also coverd are WordPress classroom design, membership install, and extras like progress-tracking sidebars.